KiptonART Artist Edie Nadelhaft is taking part in the Affordable Art Fair staring this Thursday, September 30th. 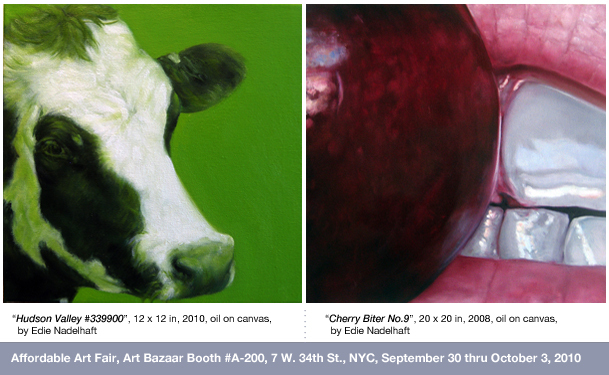 Nadelhaft will be featuring works for the Cherry Bitters and Bovine Portraits series'. Affordable Art Fair is located at 7 West 34th Street, directly across from the Empire State Building.